When Your Baby Sleeps. 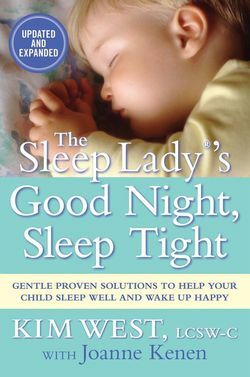 . .
Providing exhausted parents with gentle solutions to teach your child to fall asleep easily and stay asleep. Are you up multiple times a night with your infant, toddler or preschooler? Then let us help you! Together we can create a customized plan to address all your child’s sleep needs and teach your child the vital skill of sleep. It is a known fact that babies and children need the proper quality and quantity of sleep to pursue their full cognitive, emotional and physical development. But what many fail to realize is that healthy sleep habits are actually a learned skill, just like walking, talking and riding a bike. Let us empower you with the skills to coach your child to independently and peacefully go to sleep and stay asleep. A review of your child’s sleep and health history. A customized, step-by-step plan and schedule that matches your child and family’s needs and parenting values. The tools so that your child can fall asleep independently and stay asleep. The gift of long, restorative naps. And tips and tools to handle future routine busters such as travel and illness. Contact us now to schedule a FREE 15 minute initial consultation or set-up your Well Rested consultation today. Sleep shouldn't be a luxury! It’s a necessity for health and wellness. We are trained and certified Gentle Sleep Coaches, working with parents of children 4 months to 6 years. Learn more about our approach and philosophy. Join our email list and receive a FREE chapter of the "Good Night Sleep Tight Workbook" with steps you can start taking NOW to prep for sleep coaching success. Also join other parents on our Facebook and Instagram community by clicking the icons below.